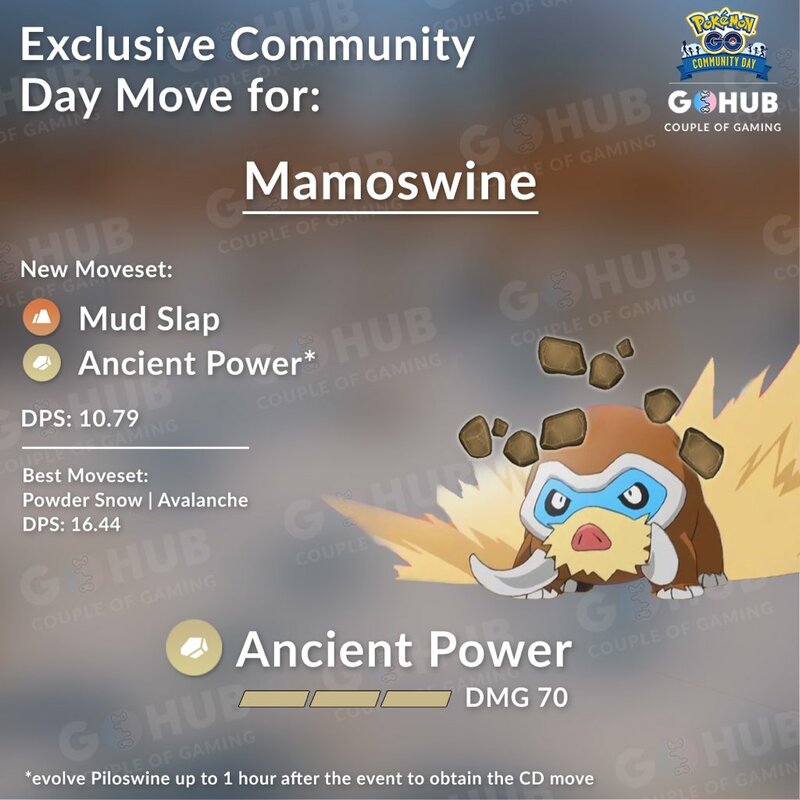 Ancient Power Mamoswine, 10 Sinnoh Stones and Shiny Swinub lead the charge in Pokémon GO's February 2019 Community Day. 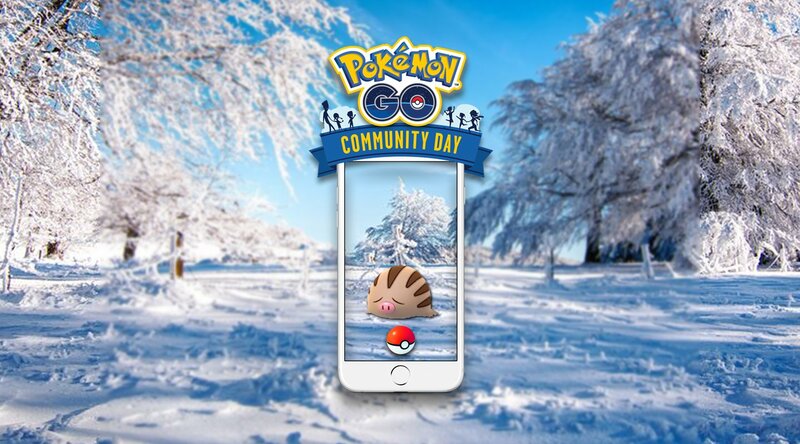 What is a Community Day without a full-on guide for everything from the shiny form to an IV chart? 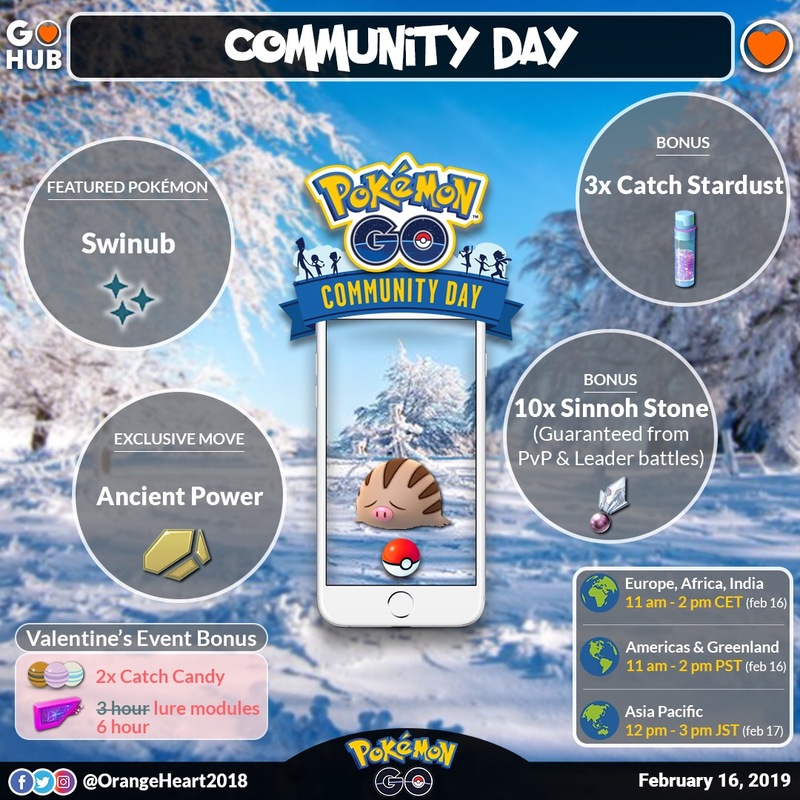 So here it is, our Swinub Community Day (also known as February 2019 Community Day ) Guide, that has everything you could ever ask for in a guide! 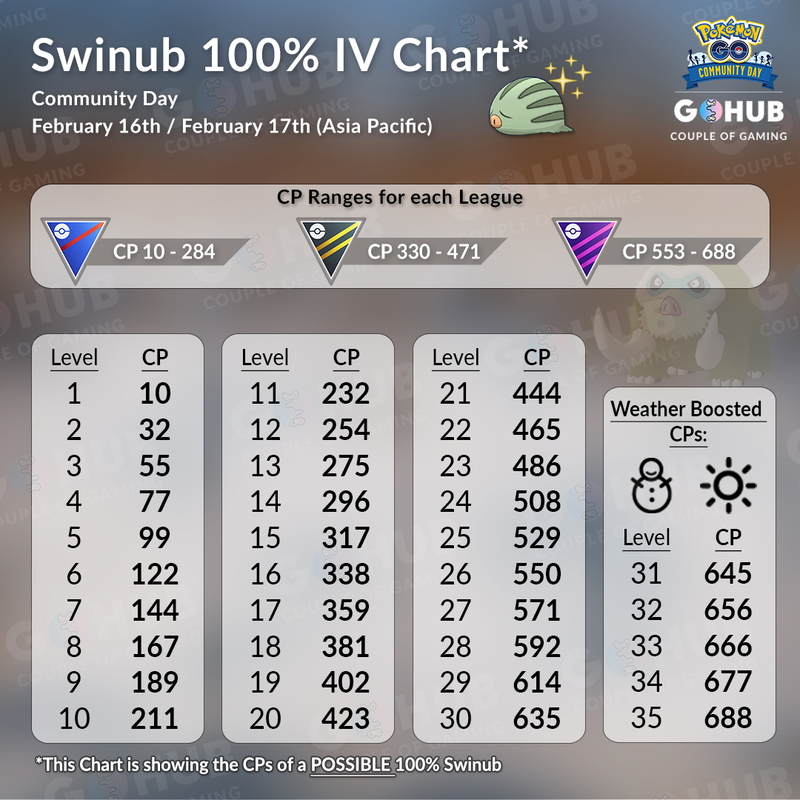 Swinub IV charts, Mamoswine exclusive move preview, and general event guide! Make sure you have room in your inventory to accommodate them before battling! Lure modules to take advantage of the 6-hour lures. Pinaps for even more candy! Since CD overlaps the Valentine’s Day Event, you will earn double candy on every catch! You’re going to need it since the big guy requires 100 Candy to evolve! Make sure you have space in your inventory to accommodate the 10 Guaranteed Sinnoh Stones before you battle in PvP against other Trainers or Team Leaders. To ensure that you have Lures up the entire duration, do not set your lures prior to the start of the event, as those will only last 30 minutes. The Lure has to go up after the event has started to last for three six hours. Not to mention it will block the boosted CD spawns from spawning until it has depleted.